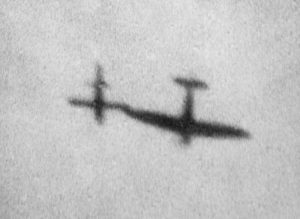 The only known photo of the RAF ‘tipping’ V-Bombs in WW2 (Crown Copyright). The drones had Britain’s second most economically important transportation hub in a humiliating force choke. 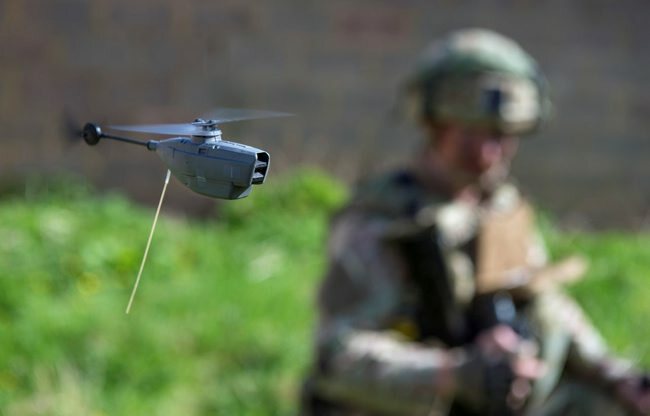 Police dogs2, birds of prey, net launching ‘bazookas’3 and military counter-UAV systems, have all been discussed to deliver control of the air space over Gatwick. As we face the national crisis of Brexit and at a period of festive emotion, there is apparent ‘presence of the abnormal’. Regardless of who did this, it feels like we’re being experimented on. Thanks to @brad3d and @n_waters89 for framing some thoughts on this. It’s arguable that shop-bought drones with remote telemetry can’t fly near airports. ISIS has shown how easy this ‘geofencing’ is to overcome in Syria and Russia in Ukraine. It’s a dead certainty that the hardware supporting this sustained air assault isn’t bought from Amazon. The likelihood is a number of custom frames that deliver sustained flight time in order to achieve a covert stand off capability for the controller/s. On the basis of 50 sightings over a 24 hour period, it’s possible that a stand-off foe is using multiple air-frames, possibly 2 per hour, in order to achieve air superiority and information effect. This translates into an outlay of around £60,000 per 24 hour period of airspace denial. Conversely, Gatwick loses £1.1M per day if closed. According to Yahoo Finance, a 2014 report from the UK Airport Commission found that the value of a flight delay for a leisure traveler was about £6.60 per hour. The value to a business traveler ranged from about £47 to £49 per hour. Over 100,000 travelers were affected by this shutdown. A conservative estimate of loss for the 3 day attack therefore runs close to £10M. That’s quite a ROI for attackers, present and future. I’m not going to analyse the threat posed by drones, try to discover clues as to the motivation or capability of the attackers, or speculate on the inevitable cultural shift, physical countermeasures and risk calculus we need now to consider in a post-Gatwick world. Combat Zones. Sub-response threshold and covert adversary offensive info strike ops will increase. Info Incursion. 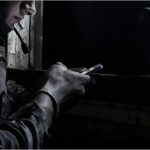 Red-lines between home-base and battlefield are being fractured by tech penetration into everyday life. This offers mischief opportunity – for both. Confusion. Battlefields exist in ‘fog of war’ conditions. The hybrid overlay deepens confusion personnel will experience. Offensive and defensive Info Ops can help start to clear this. Counter-Adversary Info Ops. Disinformation and dissonance-driving strike could be countered through training, education, unorthodox innovation and further development of our tactical IW capability. Opportunity. Western offensive info operations, predicated on truth/rules-based systems, can help us dominate adversary decision-action cycles. Innovations. Joint Information Warfare Teams could offer commanders and other departments valuable proactive, reactive, tactical opportunity, command-directed and crisis Information Warfare Strike Options (IWSOs). Our consumption of information is as rapid and insatiable as it is technologically metamorphic. Across borderless, pervasive social platforms there are armies, cybernetic and human, authentic and automated, conscripted and congregational, around which emotional frames4, perception of objective truth and targeted amplification can all be manipulated. The prize is not simply a behavioural change, it is an invasion of reality through steady internalisation of a narrative that supports a strategic aim5. This isn’t easy, (necessarily) immediate or by alchemical mind-control magic. ‘If you accept the core definition of terrorism as “the unlawful use of violence and intimidation, especially against civilians, in the pursuit of political aims6,” then there are few terms more apt to describe the actions of adversary informational armies entrenched in our social spaces. ‘Trained and untrained operators alike are beta-testing tools and tactics on human minds, deliberately or intuitively. Information weapons are intangible. But people aim them, and people are the target. It’s time we take them seriously7.’ Regardless of the eventual truth of Gatwick, it signals a shift in potential future tactics and adversary ability to dominate our informational decision-action cycle using an air power front as hard to mitigate as this year’s spate of vehicle-borne attacks in London and elsewhere. So, at the arse end of an ugly year, with open wounds in unprecedented, technically contemptuous UK politics; runaway gun American foreign policy in Syria claiming a Defence Secretary, special envoy to the global coalition against Daesh and further emboldening a resurgent Russia; the shambling rise of the far right; the violent inkspot Gilets Jaunes movements being infiltrated by foreign and domestic extremists and recent Russian incursions in Salisbury – an invisibly spun signal thread is becoming visible. We are beginning to see the bayonets fixed against us in the trenches of an information war. The Urgent Operational Requirement (UOR) is for some cognitive armour. Hybrid Warfare Hot-Takes: Identifying Lessons for UK Information Strike from Gatwick. ‘Cognitive warfare is a dark, seductive rabbit hole. It is powerful and unregulated, and right now, thanks to social media in particular, the information domain is as lawless as the wild west, as demoralizing as the terror of World War I trench warfare, and as adaptive as the guerrilla tactics in the Philippines in World War II9’. Information Superiority: losing control of the narrative battlespace. Gatwick reveals a first principle of Information Strike: be the first to understand and contest the space, before the space is contested. Information Manoeuvre has the potential to help shape the battlespace narrative through which people, especially those in the conflict area, understand what is happening. For example, in Syria trust reactions to news are maximised by receiving information from family and friends through encrypted, closed and secured messaging sites or Closed Messaging Apps (CMAs) such as Whats App, rather than straight from mainstream media (MSM) sources. Family act as the truth filter. This drives the belief quotient. Tragically, family discourse embeds the informational parasite. Our adversaries are looking for these opportunities and gaps10 – the cracks they perceive in western democratic castles of glass ‘providing a sort of x-ray of the underbelly of liberal democracy11’. Where our weaknesses already are, culturally, financially, emotionally, even personally for high value or data-driven target sets. We face criminally-driven, authoritarian con-artists who exploit ambiguity (and therefore social proof – herd instincts that provide psychological armour against uncertainty) and grievance. We are failing to immunise ourselves against the perception of an “all seeing, all doing, all knowing, all powerful12” adversary but also not easily able to identify and mitigate the mind-capture effects of disinformation. Test its ideas on proximal or vulnerable states. So what? We must ask fast, early and repeatedly: Where do people and adversaries get their information from? What routes do I have to access that? And what do my target audience currently think is happening? Training and Education must shift up several gears too. British Service personnel are not insulated from internalising disinformation seeded by adversaries or negative actors. The risk of this is real and pressing. Owing to the penetration of social media, and the relative ease of camouflaging adversary presences, taking chunks from key components of fighting power isn’t a stretch to imagine. We must begin teaching our people how to spot, react, counter and report adversary information strike from the routine to the high value. They are already vulnerable, operating and familiar in the digital battlespace. Lets start arming them with concepts and knowledge they can use. Magic and Mischief: frightening and unnerving the enemy. 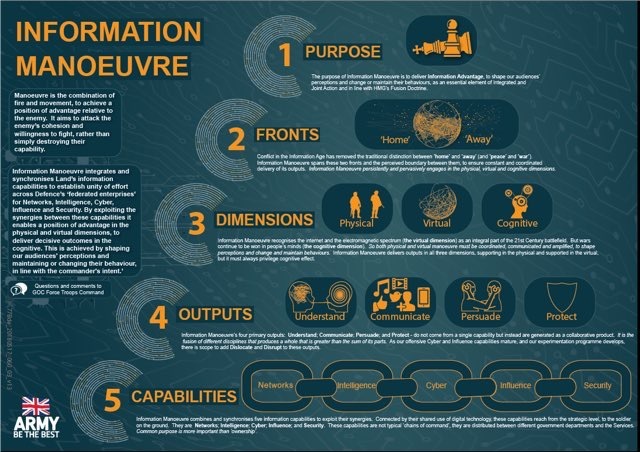 Considering the below British Army publication on Information Manoeuvre and Information Advantage, it is observable that in Gatwick, opportunity exists to better conceptualise how to exploit battles for the vital triumvirate of informational fronts (physical, cognitive and virtual). We can find ways to explore and wargame this. Gatwick should become our latest case study. The Army Information Manoeuvre Aide Memoire. Power plays, fear and unnerving your enemies by controlling information. Skimming social feeds on #Gatwick, I’m more convinced of the hybrid nature of the attack. It’s shown that uncertainty can be bought by an adversary who will act with unrestricted audacity. I’m reminded of a scene from the 2015 C-NARC thriller SICARIO. You can watch it here: https://www.youtube.com/watch?v=h-UqMU-MIig. It’s a well-trodden trope. A brutal study in weaponising uncertainty and demonstrating power. Lets stretch the analogy and accept that placing a drone above Great Britain’s second most significant air hub, through malevolence or whimsy, is an equally strong a statement of power. In Gatwick, we lost the immediate, tactical, physical front described in the Army infographic. 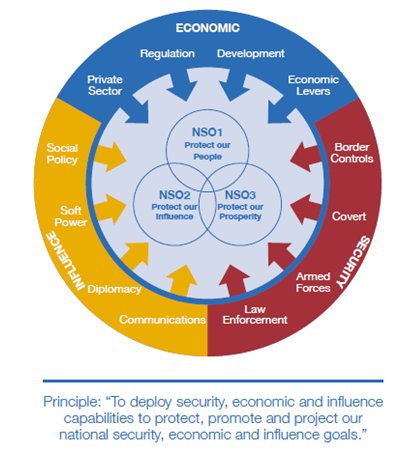 Then in considering the new primacy of Fusion Doctrine emergent from the Mar 2018 National Security Capability Review, such an attack erodes our confidence and international credibility because it strikes at protecting people, influence and prosperity. The information environment amplifies a national and international view on this. It’s often tainted by disinformation and therefore a perceptional mess and open to adversary abuse. Intended or not, Gatwick has been a sub-optimal, haphazard, but successful information terrorism strike against each of our National Security Objectives (NSOs). Non-lethal doesn’t mean non-aggressive. Offensive information operations within Western democracy must be predicated on the bastions of that freedom. The prime directive for us is to combat disinformation and division with objective truth, anchored by our rules-based system. That ‘white’ space thrust does not preclude the formulation of our own magic and mischief against attackers. In fact we must invite it, in the same way our historic forebears, whose faces we seem to have forgotten did. This is what CGS means in his 2018 RUSI speech when he talks about a ‘daring, winning’ organisation. In a Matrix-esque plot twist, later narratives suggested that there were no drones at all13. This possibility, whilst unlikely, is reminiscent of another Phantom strike. In 2015, adversarial propaganda outlet Russia Today (RT) reported on a Kremlin Info Op against the Obama Administration. 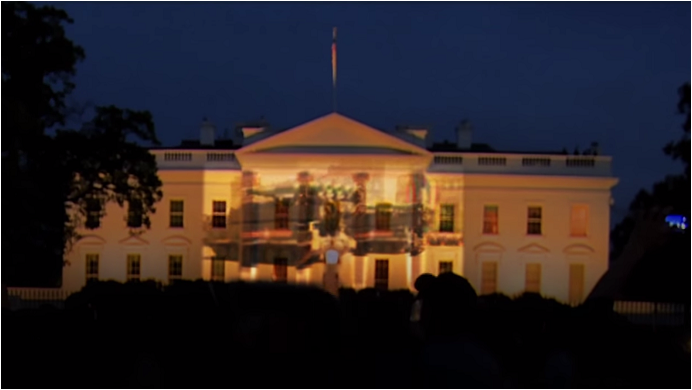 Here ‘pro-Kremlin students’ created fake videos showing the Russian Victory Parade being projected onto the White House, which were then pushed as real. In truth, the projection never happened, but at the time reports ricocheted suggesting Secret Service flaps, CIA involvement and heavily linked narratives of President Obama snubbing the Russian veterans of WW2. Whilst 2015 seems a comparatively less societally fragmented time, Gatwick is now fermenting similar narrative negligent discharges. ‘One can calculate forum posts on Facebook or bots on Twitter—which is to say, one can quantify the exposure of active measures—but one can’t really measure their impact without getting inside the head of everyone exposed to them, and then cross-referencing that group14’. This dissonance, though difficult to quantify, ultimately buys muddled pliancy. That’s what we need to act and guard against. Information ecosystems surround everything, made accessible, seductive and vivid by technology and the psychology of digital consumerism. Our many adversaries, emboldened by the penetration, anonymity and speed of technology will already be looking to the fraying strands of the narratives orbiting opportune events that can be torn to generate division. Our counter and offensive operations against this should seek to promote the rigour of a truth and rules based system. The Gatwick gaps revealing clickbait, bias-reinforcing and emotional fissures in the narrative battlespace will be filled by trained Trolls, Sock-puppets, Cyborg nets and automation next time. Our time is coming, so let’s be ready. In a divided and highly-strung society facing change and uncertainty, it is a battlespace that favours our adversaries. But then, the darkest days, have always been lit by the flaming embers of British military ingenuity. Ideas from Gatwick: UK Tactical Information Manoeuvre against adversary Information Terrorism. Defence Multi-Domain and Hybrid Lab: Plan for the unthinkable – feed ideas to JFC. Brain Armour. 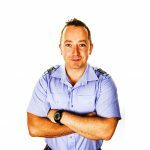 Innovation, Training and Education can react to the challenge of readying personnel for an information battle (that they’re already facing online). Skunkworks: Form an expert and unfettered ‘skunkworks’ for the analysis and fortification of national informational defensive gaps (‘What If?’ Wing). Draw from a diverse network. Wargames: Test proactive, reactive, opportunity and command directed Information Warfare Strike Options (IWSOs) specific to likely crises such as Gatwick (but also conspiracy theories, likely adversary points of incursion, emotional flash points, memes, viral predictions all specific to the operating environments we face or might). Diverse Strength: Form a diverse, joint, unorthodox team to be the conceptual horsepower behind offering solutions for the delivery of and protection from IW Strike. Joint Information Warfare Teams. Information Warfare isn’t ‘mainstream’. It deviates from the primacy of a kinetic-driven culture – but it needs to be and fast. Normalisation and routine acceptance of trained, capable personnel, embedded or dual-role, pan-defence, from infantry sections to aircraft carrier hands, support helicopters to special forces, will be force multipliers in the coming ‘reality wars’ and adversary-driven ‘Infopocalypses’ we’ll face. They should focus on the offensive and defensive, providing early proactive, reactive, tactical-opportunity, crisis support and command directed Information Warfare Strike Options (IWSOs) to supported commanders to fuse into and support their plans. First in: Joint Tactical Information Warfare Teams must be the first ‘on the ground’ (cognitively and/or actually), ready to support the commander’s crucial ‘understand’ function, but also act with multiple point situational awareness in-feed to commence ops – the IW battlefield doesn’t always require real-world deployment. When? How? Before or as close to the inception of an ‘event’ possible, ready with a pre-planned but agile playbook, empowered to react within IW RoE aligned to NSC priorities and scaled to be persistent but flexible. Play to strength: Turn the tide. Weaponise Western Democratic Values against adversary conspiracy and division. Train personnel to defy disinformation. Agile Engagement: Don’t expect help from the media, but do be prepared to engage authentically, fast, honestly and robustly where their narratives are unhelpful or in need of facts to fill their knowledge or info gaps. High impact meta strike: Within a defined spread of possible IW Strike action, early identification of the most impactful information strikes – such as humour may prove decisive (the ‘Battle of Gatwick Drone Wars Wiki site gained viral traction early on) and react accordingly. Presumably hand reared and specially trained to bark at enemy RPAS by Liz Truss MP…? A term not used in professional military circles since the immediate aftermath of the 1985 action bonanza, ‘Commando’, starring Arnold Schwarzenegger. Anti-vaccination, political corruption, alt-right indoctrination, emotional/explosive social issues, etc. Putin is particularly focused on artificial intelligence, saying “whoever becomes the leader in this area will rule the world,” and there are indications that Moscow has devoted state-sponsored resources to support research. China is also investing substantially in AI. The Menace of Unreality: How the Kremlin weaponizes information, Culture and Money. Institute of Modern Russia, 2016: 6).